I’ve updated our UPC/DPCI/SKU Master List to include the case breakdown for the next wave (Wave 6) of Vintage Collection figures that includes Lando (Solo), Chewbacca (ANH), Stormtrooper (Rogue One), Captain Phasma (TFA) and Elite Praetorian Guard (TLJ). 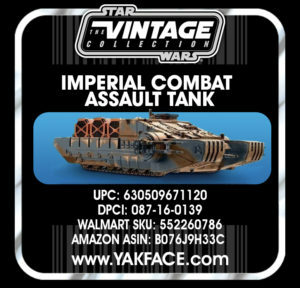 I’ve also completed the Walmart SKU info for TVC Wave 7 which include Luke Skywalker (Crait), Death Star Gunner (Rogue One), Assault Tank Commander (Rogue One) and R2-D2 (ANH). Click on through for the info. We’ve updated our running list of upcoming and rumored products slated to hit stores and online throughout 2019. We’ve purged most of the released 2018 items from the list but they can still be found here for your reference. 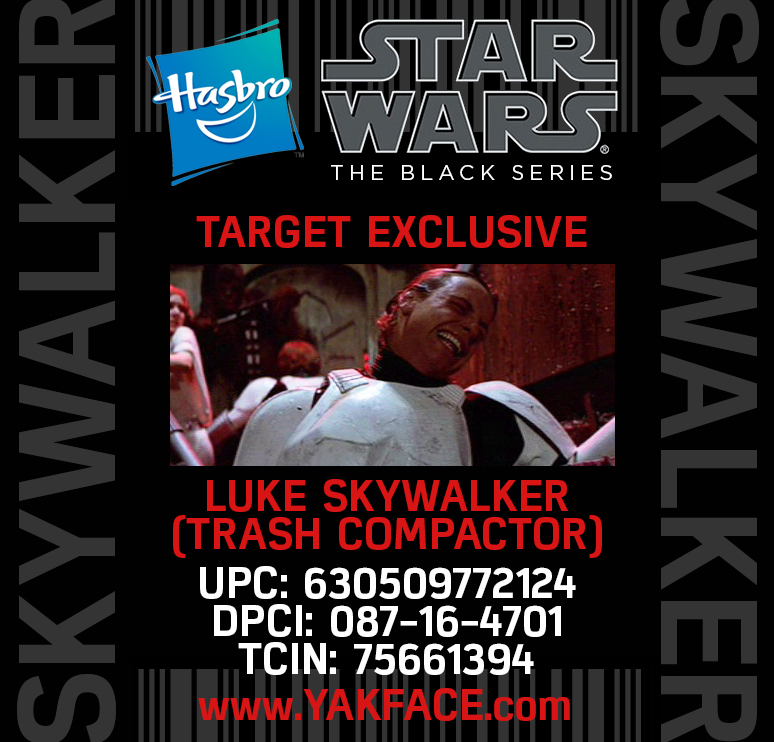 6″ Black Series Luke Skywalker (Trash Compactor) Info? Let’s start the new year off with what I think is the UPC/DPCI/TCIN info for the upcoming Target Exclusive 6″ Black Series Luke Skywalker (Stormtrooper Disguise/Trash Compactor) figure. This info is not 100% confirmed at this point but some searching and cross referencing has pointed me to this conclusion. If anything further develops, we’ll post a confirmation. Update: Rumor Report: Two New “Premium” Hasbro Figures? As always, rumors of unannounced products may change or be cancelled altogether at anytime. UPDATE: According to Amazon, the packaging 2.6″x9″x11″ – interestingly, that is (nearly) the same dimensions as the Captain America/Crossbones 2 pk of Marvel Legends 6″ figures. Time will tell I guess. 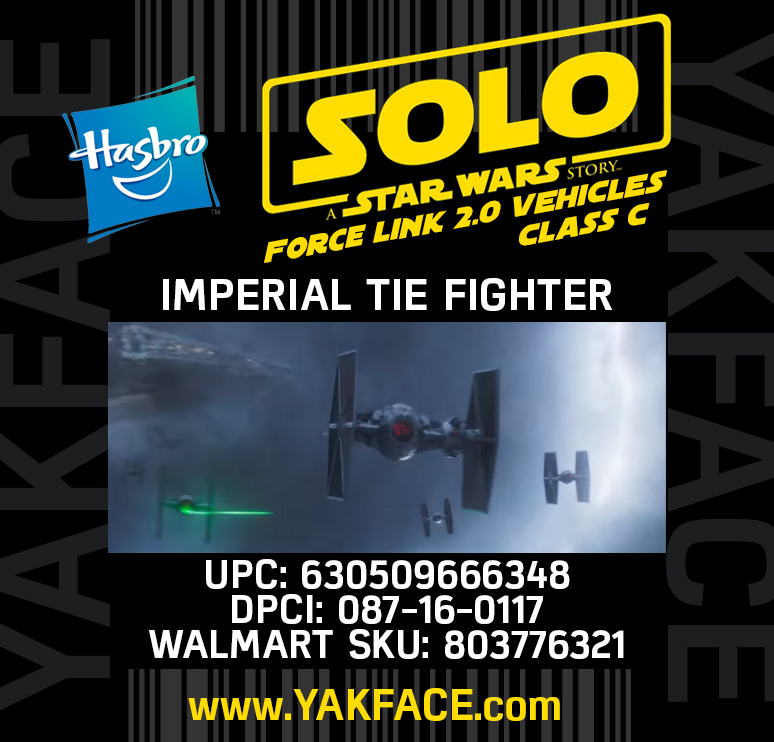 Here are a couple new images for the unofficial, unannounced Force Link 2 TIE Fighter from Solo: A Star Wars Story. You can check out the pertinent UPC, DPCI, Walmart and Amazon SKU info in our Master List. Upon further UPC checking on Brickseek today, I managed to find a new assortment of Micro Force vehicles. 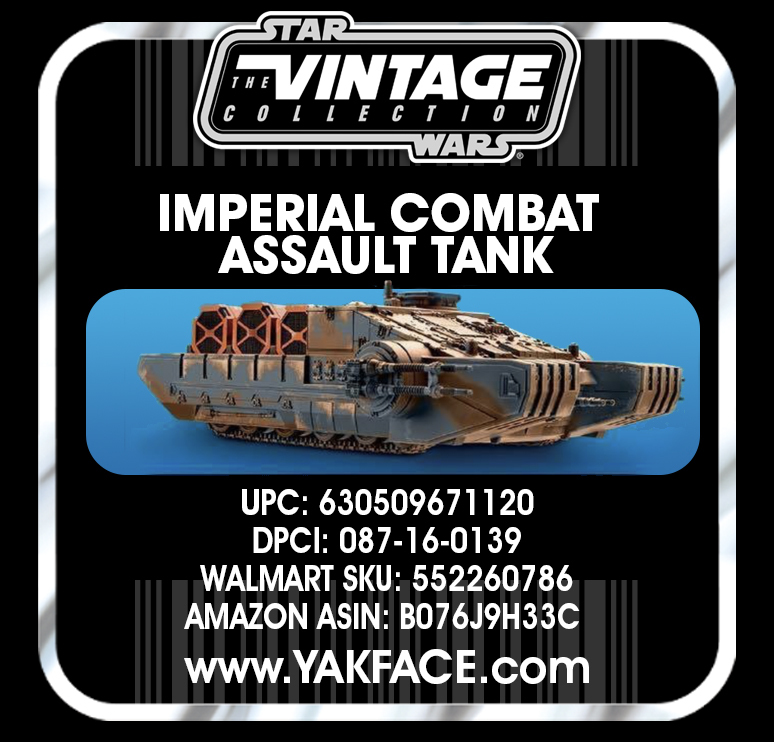 Click on through to check our Luke with Snowspeeder, Rey with Speeder and AT-AT Commander with AT-AT Walker. UPCs have been added to our Master List and individual page links on our Amazon Influencer page. Here is your first look at the upcoming Mission on Vandor-1 Action Figure Set slated to be released as a tie in to the home video release of Solo: A Star Wars Story. As you can see, it includes new figures of Han Solo, Qi’ra, Weazel and well as a repacked Range Trooper. Look for it at most retailers in September. Price is set at $29.99. Pertinent UPC and DPCI info has been added to our extensive Master List and a link through our Amazon Influencer page. Click on through for large packaged and loose shots. 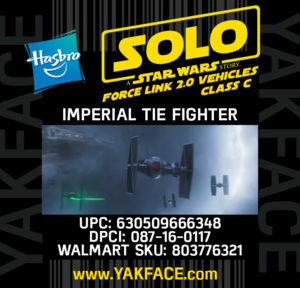 Back in February a leaked image was floating about showing a 3.75″ scale TIE FIGHTER heading to the Force Link 2 line from Hasbro. Surprisingly, it didn’t drop with the release of the first wave of Solo merchandise, but we can now report, thanks to Brickseek, it is coming soon. Slotted in as the first “Class C” vehicle for this line look, the price is expected to be $39.99. Due to the angle of the leaked image, it is unclear if this is the standard TIE or the cool TIE BRUTE that we briefly saw during the pursuit in the maelstrom, but I’d expect the standard TIE configuration based on products already released by Mattel and LEGO. 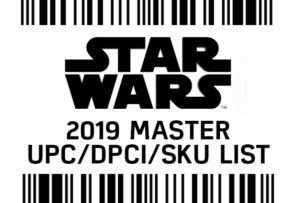 The UPC, DPCI and Walmart SKU have been added to our Master List. Expect to see the first images of this at SDCC (if not sooner). 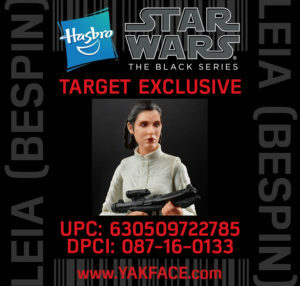 Based on our report this morning and after some additional digging on Brickseek it looks like that rumored* Target Exclusive 6″ figure will be Princess Leia (Bespin Outfit). As stated earlier, price point is set at $19.99 and has an estimated availability of early August. The assigned UPC and DPCI codes are provided in the image above and have been added to our Master List. *All rumors are unofficial and the availability is subject to change.